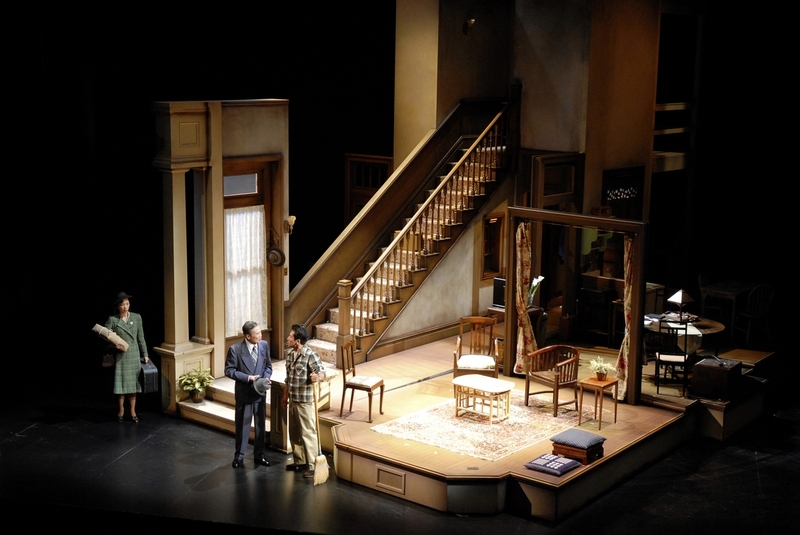 The following blog uses excerpts from A Five-Act Play: 50 Years of A.C.T., by former A.C.T. dramaturg Michael Paller. A.C.T. Artistic Director Emerita Carey Perloff has directed more than 50 productions that have moved, challenged, and thrilled San Francisco audiences throughout her 25–year tenure. In anticipation of her world-premiere theatrical adaptation of A Thousand Splendid Suns returning home to The Geary this week, we took a look at a few of her most memorable A.C.T. productions. Roxanna Raja, Olympia Dukakis, and Marco Barricelli in A.C.T.’s 1998 revival of Hecuba. 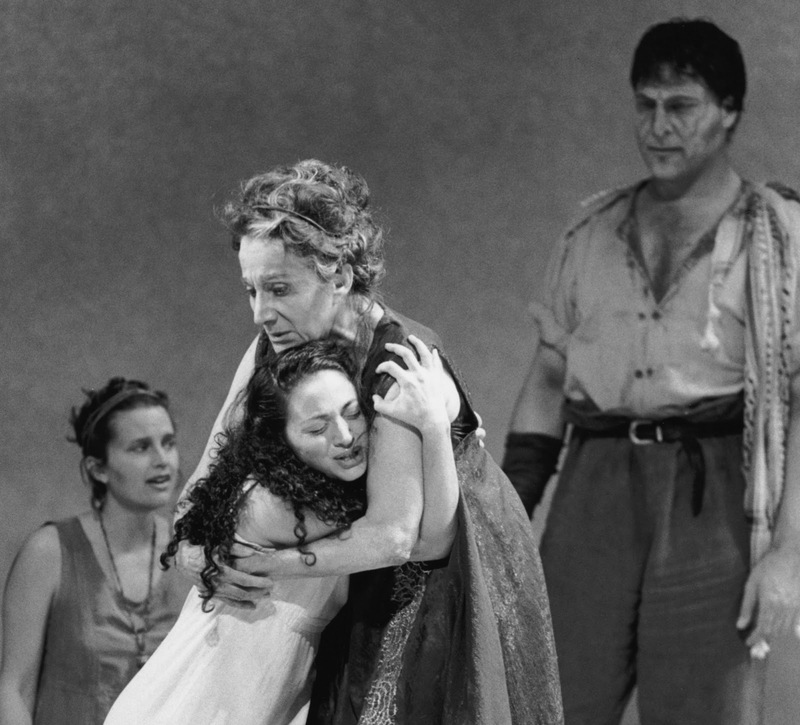 When Perloff asked her friend and colleague Olympia Dukakis which Greek tragedy she’d want to do at A.C.T., the answer came back quickly: Euripides’ Hecuba. In this production, Dukakis gave an overwhelming performance as the Trojan queen who exacts terrible revenge on the king of Thrace for killing her son. Paul Walsh's taut translation of the Henrik Ibsen play continued the A.C.T. tradition of new American translations of Ibsen. 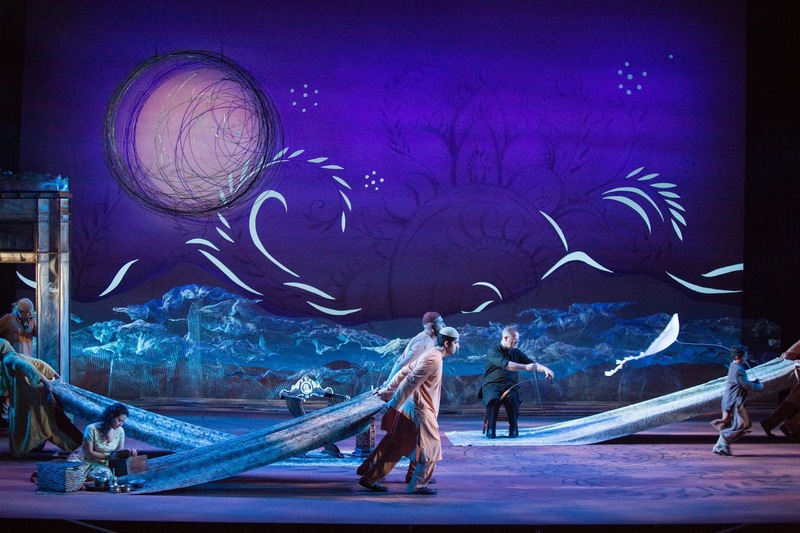 Perloff was wary of turning the play into a feminist statement; Ibsen had said that it was about the right of all people to lead authentic lives. So she, René Augesen in her Geary debut as Nora, and Stephen Caffrey as Torvald, made the Helmers' marriage as complex as possible, and stressed that, until the last moment, Nora was desperately trying to stay in her marriage, not leave it. Nonetheless, some exchanges had a particularly feminist ring, such as one in which Torvald tells Nora, “No man would sacrifice his honor for love,” and she replies, “A hundred thousand women do it every day.” It often provoked thunderous applause and cheers. Sala Iwamatsu, Sab Shimono, and Hiro Kanagawa in A.C.T. 's 2007 production of After the War. By the turn of twenty-first century, Asian Americans comprised 40 percent of the population of San Francisco, and Perloff was anxious to put their stories onstage. After the War, produced at The Geary in 2007, is the story of Chet Monkawa, a jazz musician and “no-no boy” (an interned Japanese American man who refused to sign a loyalty oath or serve in the military during World War II). Few San Franciscans of any ethnicity had ever seen this story onstage; many Japanese Americans had never seen actors from their community on the stage at all. The Tosca Project was a valentine to the city, to North Beach, and to movement. Created by Perloff in collaboration with choreographer Val Caniparoli, the piece was composed of several small stories, touching on numerous aspects of the city’s social, political, and cultural history. A.C.T. 's 2017 production of A Thousand Splendid Suns. Photo by Kevin Berne. Director Carey Perloff's production of A Thousand Splendid Suns returns to the Geary stage for a special two-week encore presentation beginning July 17. Click here to purchase tickets. Want to learn more about the process of producing the world-premiere of Suns? Order a copy of Words on Plays, A.C.T. 's in-depth performance guide series.